I’m back! After temporarily forgetting how to draw and sculpt due to an ever-increasing work schedule and a Wacom Cintiq Companion suffering from a frustratingly loose charging port, I had a dilemma; what do you give to a published and groundbreaking paleontologist on his birthday that one of your 786 siblings haven’t given him already? Easy! You make him something unique related to what he has a vested interest in and he HAS to like it…or at least convincingly go through the motions of an appeased elder. Read on for a further explanation complete with pictures. My father – Kenneth “Chris” Gass is a paleontologist. Not so long ago while busting up rocks – as paleontologists are known to do – in a local Wisconsin rock quarry known to harbor several different trackways and fossilized bodies of prehistoric arthropods and jellyfish and the like, he became a key part in solving a mystery which had been brewing for over 150 years: what was the first animal to walk on land? As more and more fossil evidence turned up, it became clear that these ancient trackways – the oldest land footprints ever found – were tied to euthycarcinoids. After countless trips to the quarry and surrounding rock formations, tons of collaboration with other experts in the field, and what I can only guess has to be an insane amount of research, he was able to publish a highly insightful and photo-rich book “Solving the Mystery of the First Animals on Land – The Fossils of Blackberry Hill“, published by Siri Scientific Press. Though this might come across as a shameless plug, this book is highly readable and you don’t need to be a tweed-coated Poindexter to appreciate and glean some very interesting information from it. Of all the published books he has written, this is truly his masterpiece. Just go on and buy it here; learn about your creepy looking predecessors! Anyways, his birthday was coming and I was scrambling for something meaningful to get him. Sure I could have thrown him a few dvds or cds or get something similarly cheesy off the interwebs, but I knew that those things wouldn’t assure me the top slot on his list of greatest offspring ever. I enjoy detailed tangible things, like hyper-realistic sculptures, action figures, and things of that nature – things that I can display and drool over. I assume that some of that trait was passed on to me by him, so that was the first step. The next part seems like a no-brainer in hindsight, but in actuality took me tons of painful brain-straining to come up with; what does he like that I can purchase a tangible representation of? 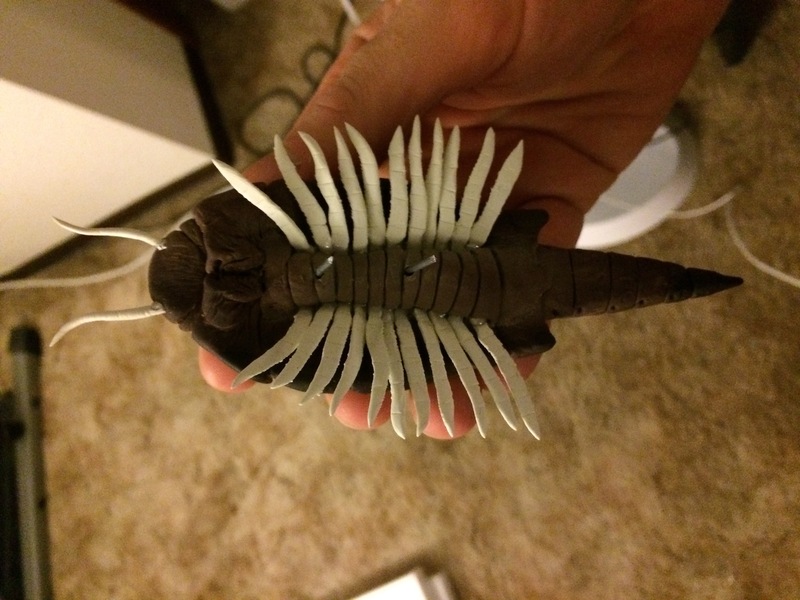 Can you believe that there are not any euthycarcinoid replicas in Walmart’s inventory!? Talk about a missed opportunity for them! I knew that he had to have one of these, but they didn’t exist. With a heavy sigh, and a bit of rustiness, I knew that I would need to get out of my artistic rut and make one. The following describes how…with pictures even! I started by studying several pictures of actual euthycarcinoid fossil pieces (all can be found in his book), and several illustrations of a variety of different types of euthycarcinoid interpretations found on the internet. My sculpture is based on a composite of all of these sources. 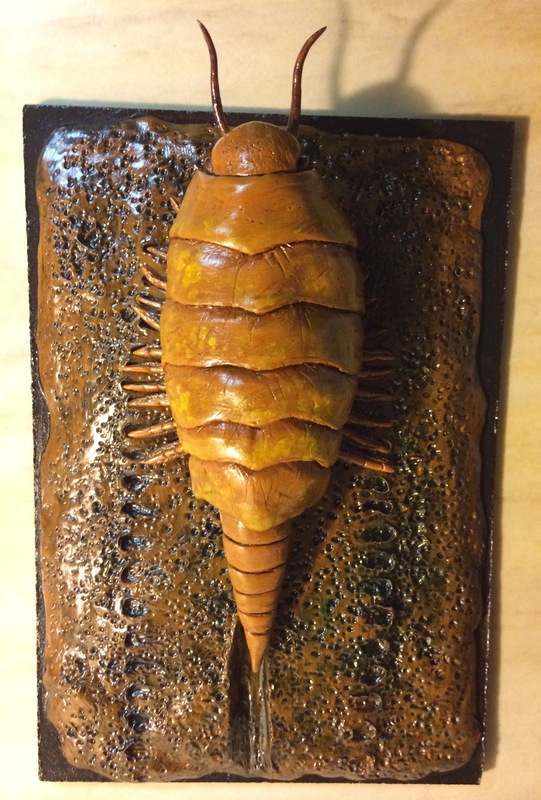 First, I used a 2-part plastic putty “Magic-Sculpt’ to create the very thin legs and antennae. 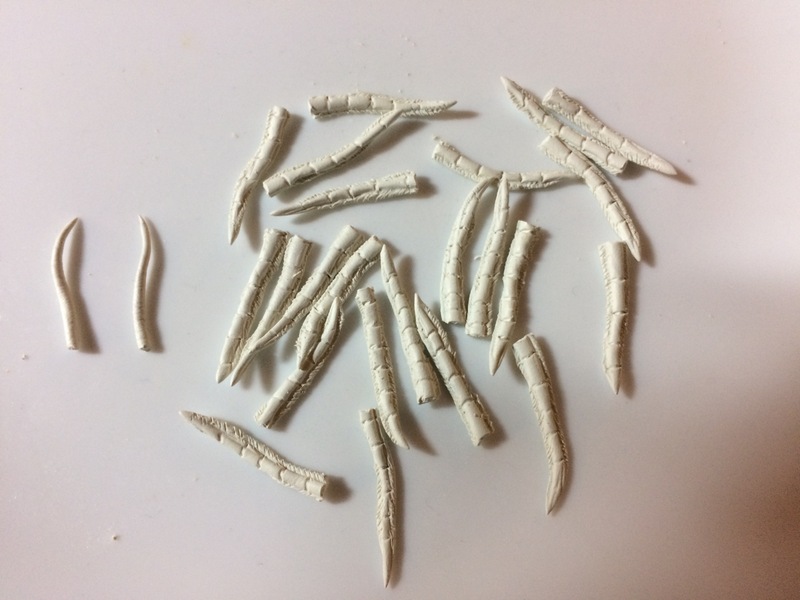 I chose Magic-Sculpt for these parts over Sculpey due to the fact that thin pieces are less brittle when finished and have zero chance of burning to ash as Magic-Sculpt is not cooked to harden like Sculpey. 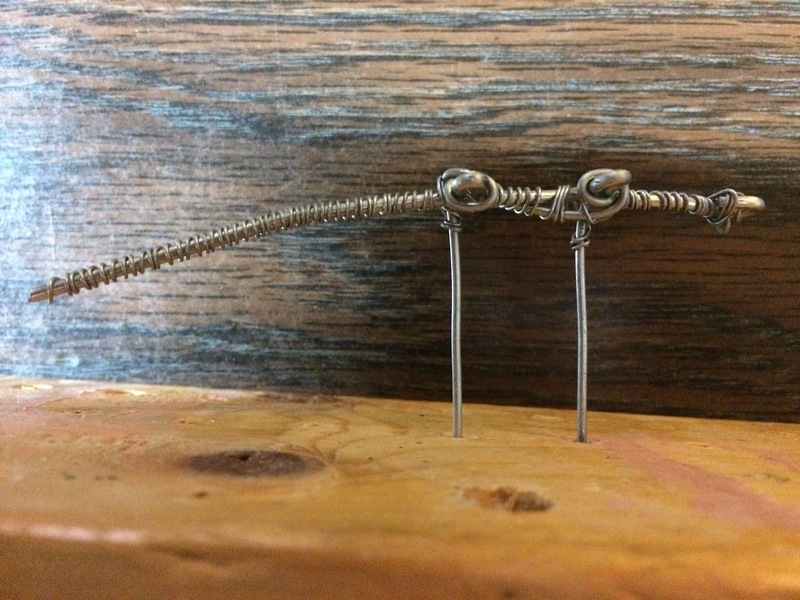 Next, I created a very basic armature using 3 different guages of wire to support the bulk of the model. For the body I chose to use “Super Sculpey Firm” as it dries damn-near solid as stone and has less chance of distorting before being cooked. 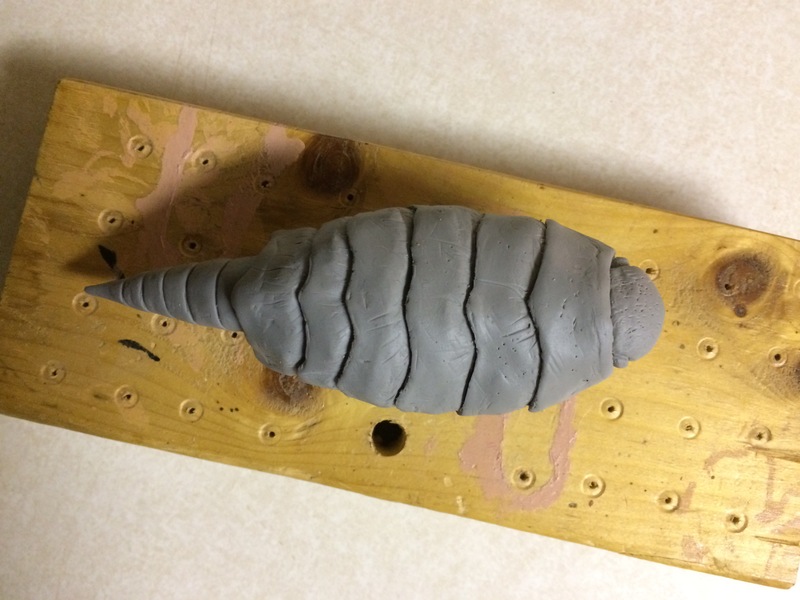 First I sculpted the top of the body onto the armature and left the underside hollow. I then baked it. 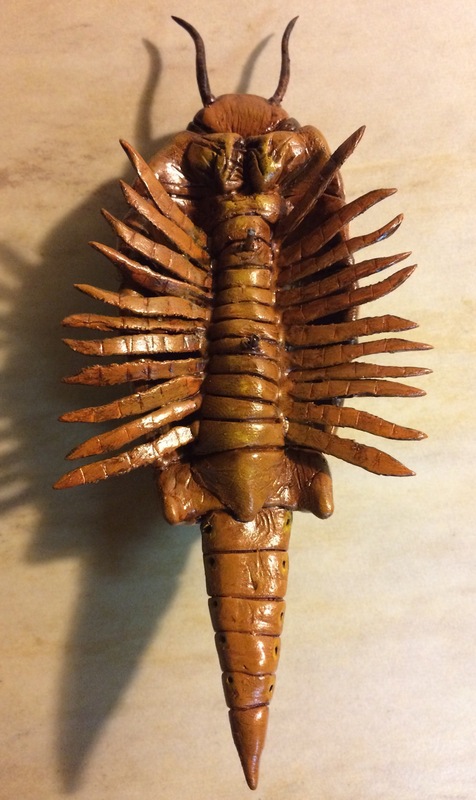 A day later I added more Sculpey underneath and sculpted the bottom details. I chose to do it this way rather than sculpting the whole thing first and then baking it, because the middle would have been too thick to safely cook without fear of it cracking or burning the edges too bad. One of the many things I like about Sculpey is how it allows you to add fresh Sculpey onto Sculpey that has already been baked. I then used epoxy to attach the antennae and legs. So that’s the gift, and here was my first post in a gazillion and six years. I have been working way too much overtime and have been in a disgusting artistic rut, but fear not. Thanks to all of that overtime I have been able to save up enough for a new Wacom Cintiq 22hd. With that disgustingly huge investment and this last project which gave my creativity drive a pretty good kickstart, I will be back. Thanks to those who still check up on this “art” blog!